Your backers deserve beautiful packaging, simple as that. $350K+ raised over 2 campaigns. 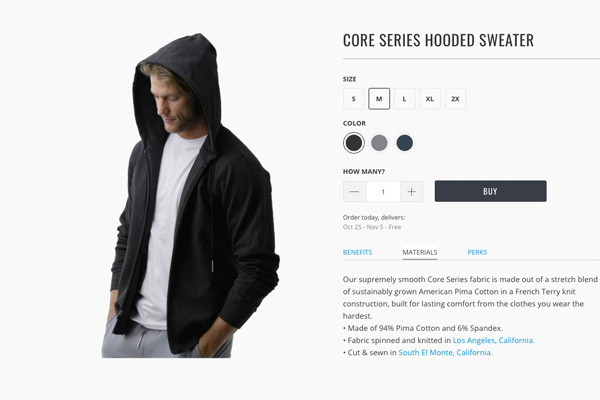 The little Austin clothing startup that could. Google the company and you’ll find a man in boxers staring you down (maybe don’t do this at work). Give the site a once over and you’ll see they’re in business to create comfortable and sustainable menswear. 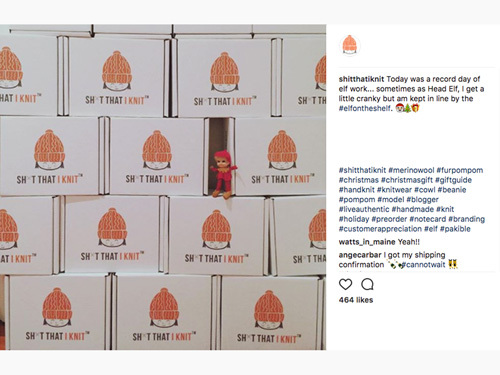 Their packaging? 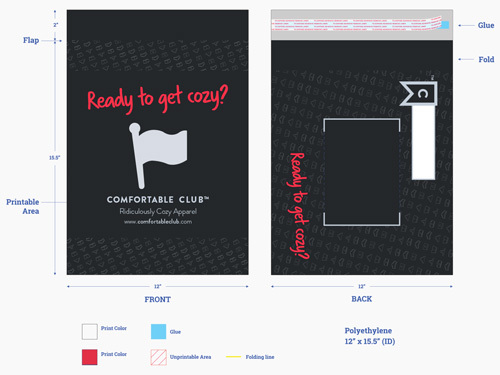 Clean, lightweight, and functional Poly Mailers direct from Pakible. The perfect packaging for any company shipping apparel and accessories online. As we always do during the design and prototyping phase for all projects, we created several unique packaging designs and graphics to choose from. 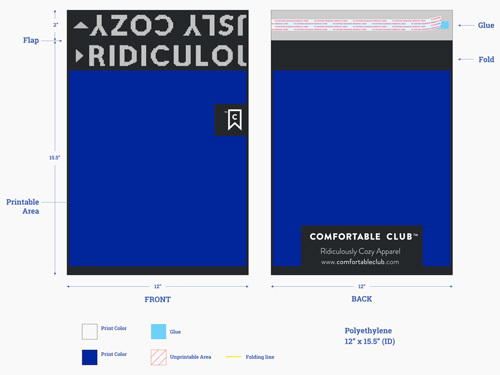 I guess Comfortable Club couldn’t decide which they loved most… taking 2 of the top designs both to production. Hey why not? Split the order, print both versions, test it and let the customer decide what’s best. Let’s make your Kickstarter “unboxing” something to remember. $25K raised from 260 backers. 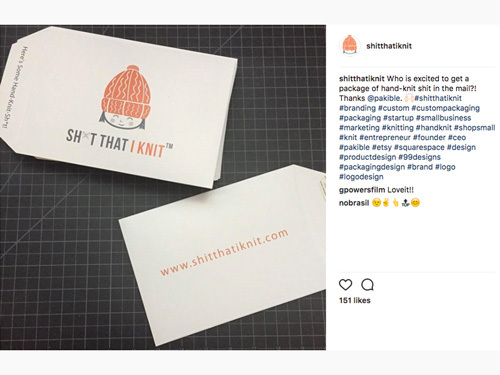 Founder Christina Fagan built a brand and community around her cherished hobby in hand knit beanies and caps. Flavoring that with her unique style and branding that demands your immediate attention. What’s not to love about that? 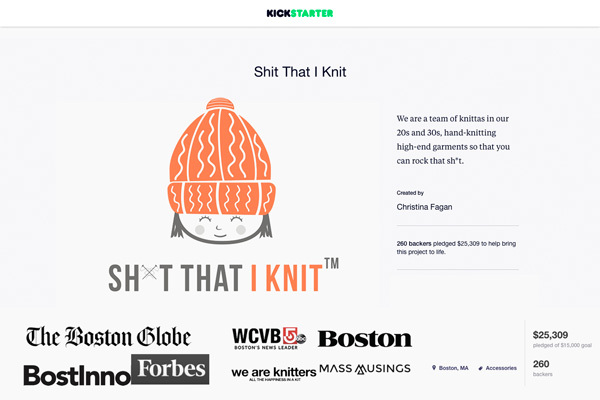 The company knits incredibly soft beanies and headbands out of Merino wool yarn and each item is hand-crafted by a community of ‘knittas’ all over the US. 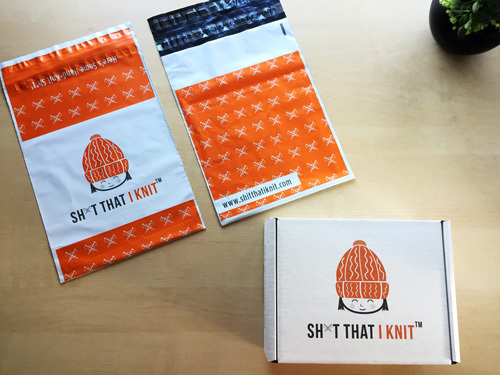 Sh*t That I Knit has grown over the years to add several different packaging options for different needs. 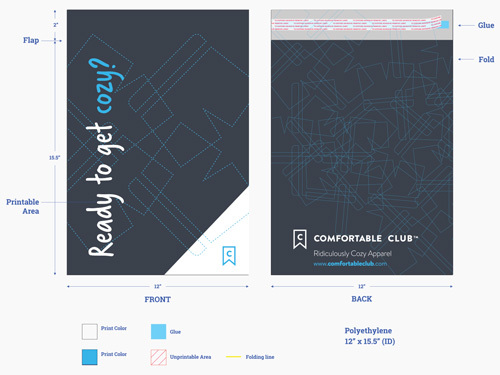 First with paper mailers, then branded shipper boxes, and of course adding on the always flexible and low cost poly bags. All designed, priced, and delivered direct from Pakible. 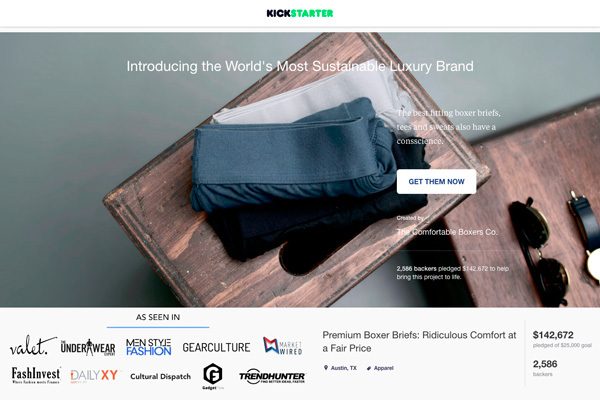 Bensly out of Los Angeles, raised an incredible $50,000 in a single day on Kickstarter. Yep, you read that right. The campaign has already surpassed the funding target, so now we’re all left to sit back and wait in anticipation for Bensly to deliver. It’ll probably show up in one of those white bags your Amazon orders come in, right? Bensly puts a tremendous amount of thought into their clothing and branding experience well ahead of time (as should you) and created custom packaging for their shipments using sleek, no frills Poly Mailers and Bubble Mailers – just like the brand we know and love. 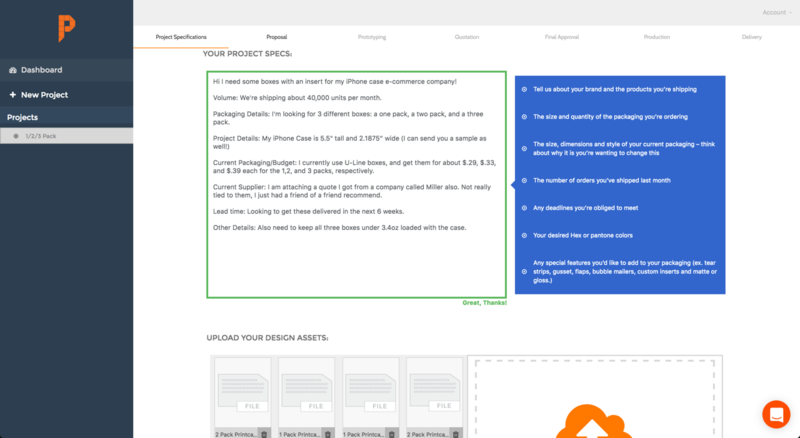 Forget the days of digging through endless email chains to find that old pricing sheet or artwork revision. Everything is organized neatly in your dashboard, just a click away. Long conversations with different suppliers is no fun at all. Instead, you can talk to one Pakible specialist, and get 3+ quotes from vetted, hungry suppliers. They’ll all be staged against each other, so you always get the best cost. We’ve never met a packaging manufacturer with even one full time software engineer, have you? 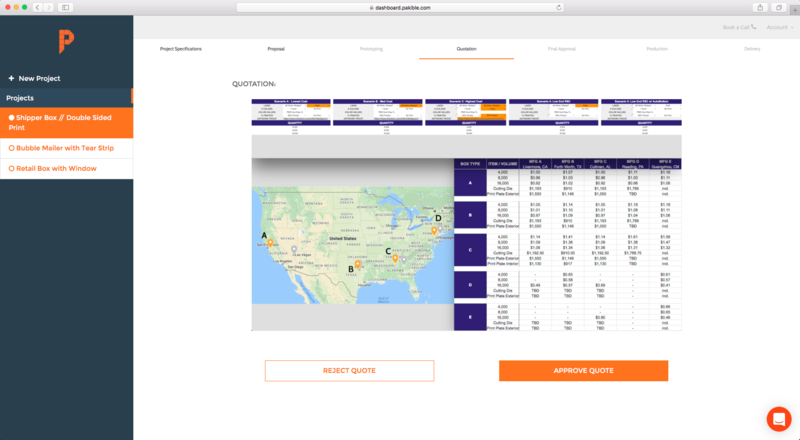 Pakible’s dashboard and software built in house, streamlines each and every one of our processes which you mean get samples at breakneck speeds, pricing almost automatically, and your packaging delivered in weeks, not months. 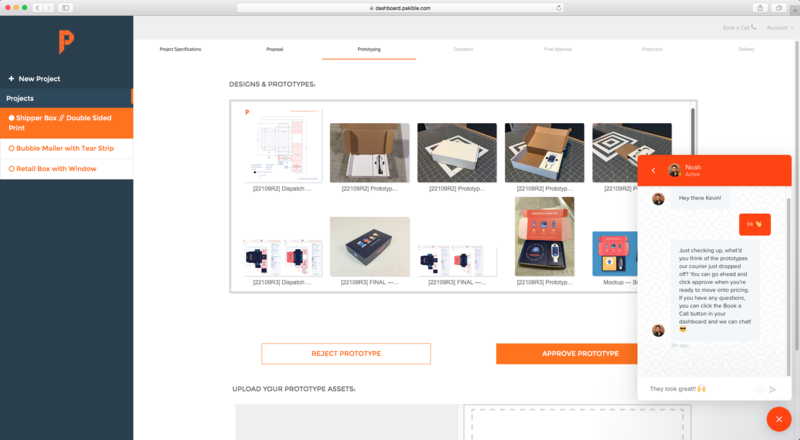 We’ll design a box as custom and unique as the product that you’ve spent so long to develop. All Pakible designers have worked with the best of the best, and we’ll make sure you get Fortune 500 level design firm attention. Of course, all your assets, as well as our designs, are available directly in your dashboard to share with you and your team. Most Pakible suppliers don’t have direct a sales team. They only work with high volume distributors, so you get factory direct pricing. Combine that with Pakible’s buying power from dozens of customers at each manufacturer, means your Pakible pricing is better than ever going to a supplier alone. Start your Pakible packaging project today.